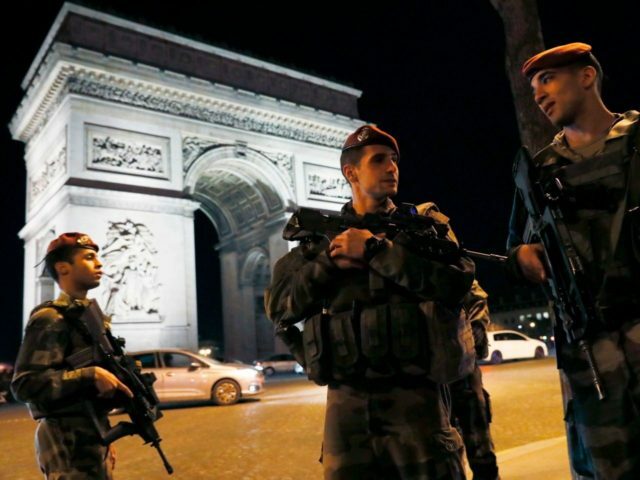 PARIS (AFP) – A known terror suspect shot dead a French policeman and wounded two others on Paris’s Champs Elysees in an attack claimed by the Islamic State group, days before a presidential election. 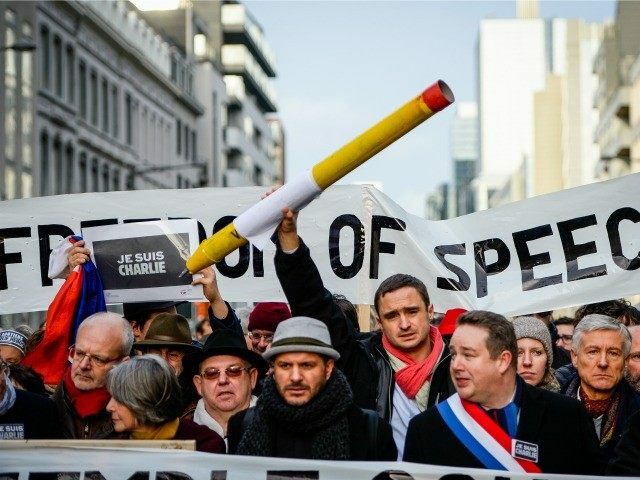 Observers had long feared bloodshed ahead of Sunday’s vote in France following a string of atrocities since 2015 and the violence is likely to thrust security to the front of voters’ minds. Here is a recap of major assaults and foiled attempts since the Charlie Hebdo shootings in Paris in January 2015. – January 7-9: Two men armed with Kalashnikov rifles storm the Paris offices of satirical weekly Charlie Hebdo killing 12 people. A policewoman is killed just outside Paris the following day, while a gunman takes hostages at a Jewish supermarket, four of whom are killed. The attackers are killed in separate shootouts with police, but not before claiming allegiance to Al-Qaeda and the Islamic State (IS). – February 3: A knife-wielding man attacks three soldiers guarding a Jewish community centre in Nice on the French Riviera. The 30-year-old assailant, Moussa Coulibaly, is arrested. In custody, he expresses his hatred for France, the police, the military and Jews. – June 26: Frenchman Yassin Salhi, 35, kills and beheads his boss Herve Cornara and displays the severed head, surrounded by two Islamic flags, on the fence of a gas plant in Saint-Quentin-Fallavier in southeastern France. He tries to blow up the factory, but is arrested. He commits suicide in his jail cell in December. – July 13: Four men aged 16 to 23, including a former soldier, are arrested on charges of planning an attack on a military camp to behead an officer in the name of jihad. They proclaim allegiance to IS. – November 13: IS jihadists armed with assault rifles and explosives strike outside a France-Germany football match at the national stadium, Paris cafes, and the Bataclan concert hall in a coordinated assault that leaves 130 people dead and more than 350 wounded, the deadliest attack of its kind in French history. – January 7: A man wielding a meat cleaver and carrying an IS emblem is shot dead as he tries to attack a police station in Paris. Convicted of theft in 2013, the man identified himself at the time as Moroccan- born Sallah Ali. – June 13: Larossi Abballa, 25, kills police officer Jean-Baptiste Salvaing, 42, and his partner, Jessica Schneider, 36, at their home in Magnanville, west of Paris. Salvaing is stabbed to death, while Schneider’s throat is slit in front of their young son. Abballa is killed by a police SWAT team, but has already claimed the murders on social media in the name of the Islamic State group. – July 14: A truck ploughs through a crowd on Nice’s Promenade des Anglais after a Bastille Day fireworks display, killing 84 people and injuring over 330. The driver, Mohamed Lahouaiej Bouhlel, 31, is shot dead by security forces. IS claims responsibility. 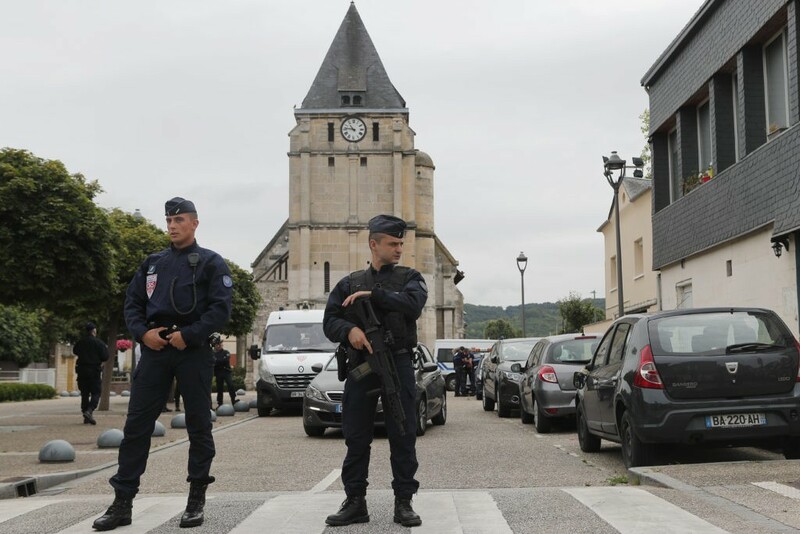 – July 26: Attackers slit the throat of a priest in a hostage-taking at his church in the Normandy town of Saint-Etienne-du-Rouvray. – February 3: A man armed with a machete in each hand attacks four soldiers on patrol at Paris’s Louvre Museum, shouting “Allah Akbar”. The attacker, a 29-year-old Egyptian, was seriously injured. – March 18: A 39-year-old man is killed at Paris’s Orly airport after attacking a soldier. 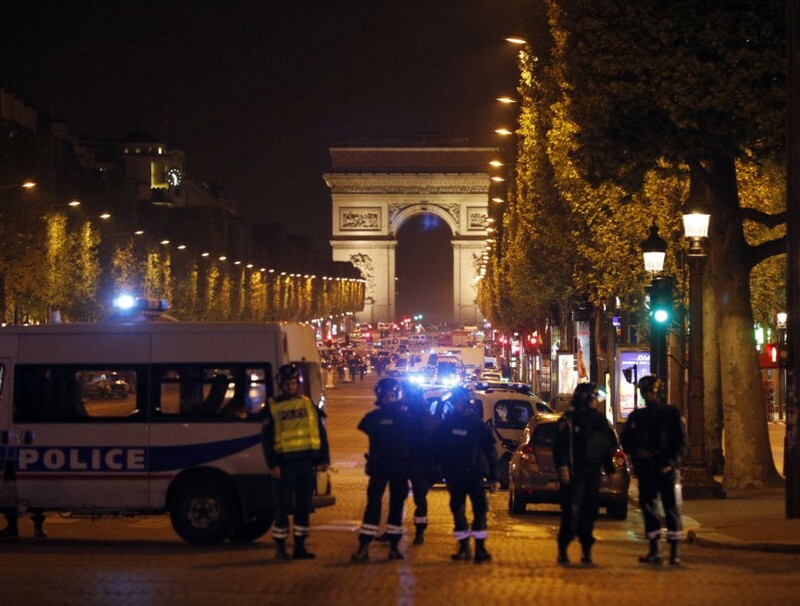 The attacker shouted: “I am ready to die for Allah,” according to the Paris prosecutor, Francois Molins. 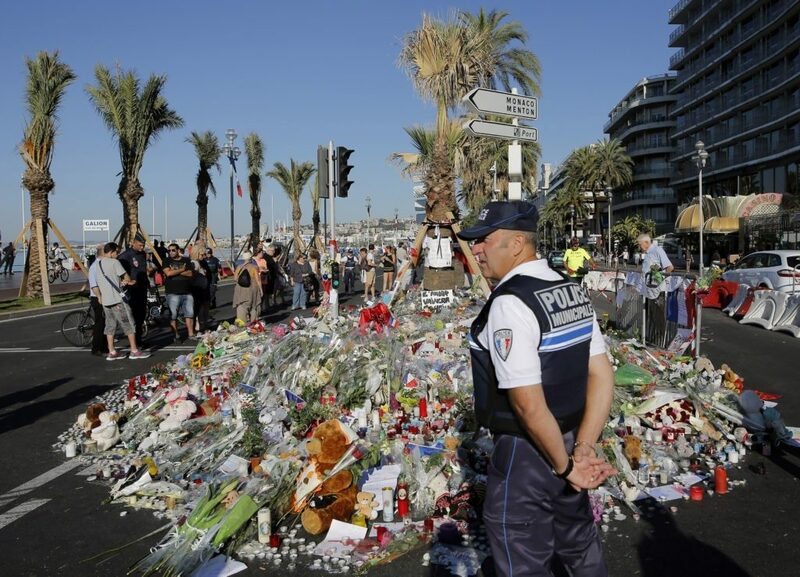 – April 19: Police arrest two Frenchmen in their twenties in Marseille on suspicion of planning an attack, with bomb-making materials and guns found in searches. 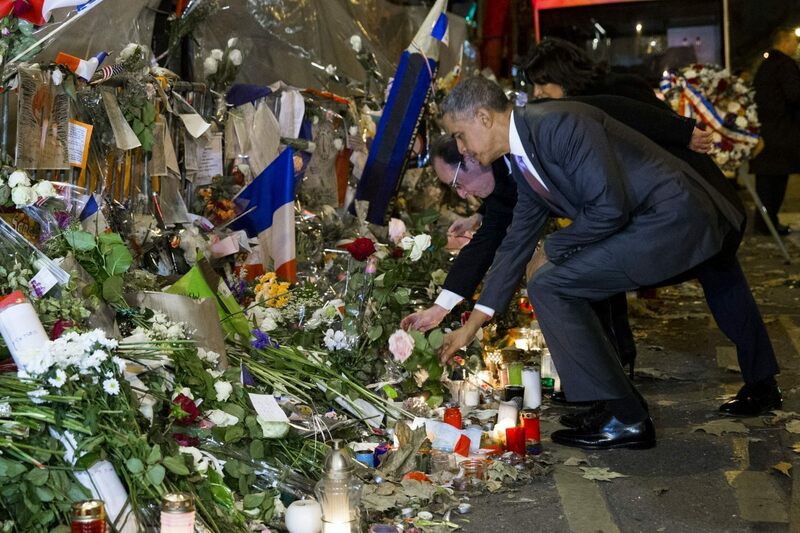 – April 21: A known terror suspect shoots dead a French policeman and wounds two others on the Champs Elysees, before being killed in return fire, in an assault claimed by the Islamic State group.